Welcome back to all the students at Lexis Korea, I hope you enjoyed your 5 day break from studying and had a happy Chuseok (Thanksgiving)! 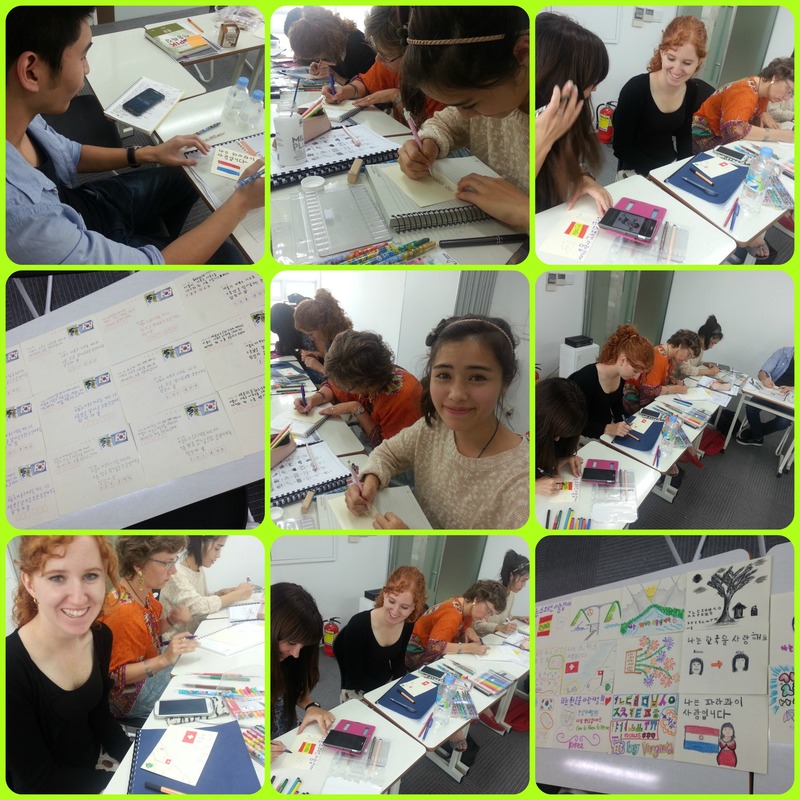 The Korean Class students made Hangul (Korean) postcards for the afternoon activity today. Using the Hangul they have learnt so far and their magnificent artistic skills, the students created some beautiful masterpieces. 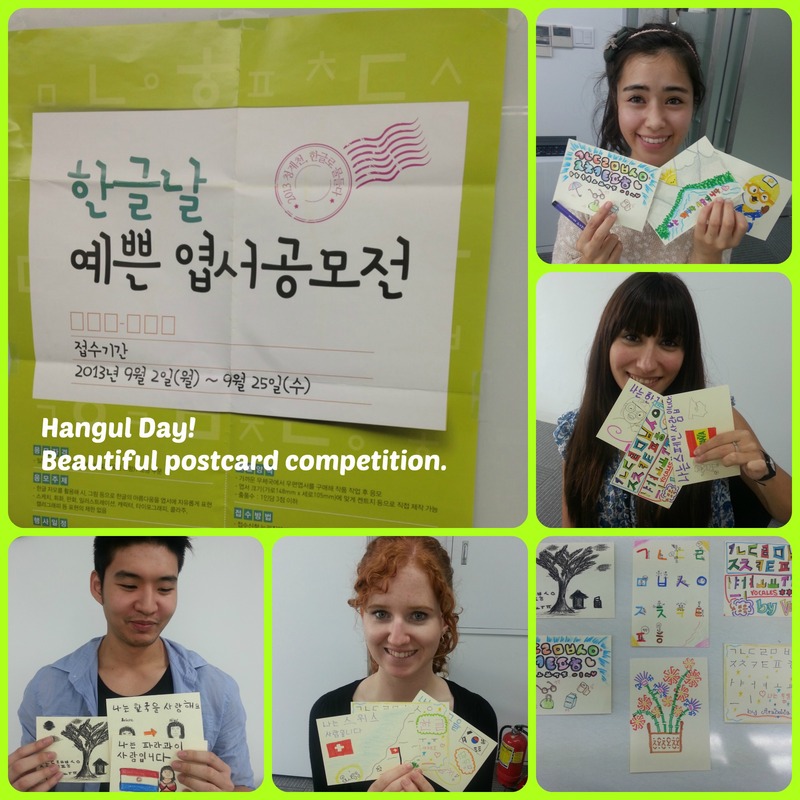 All the postcards will be displayed in our student lounge for a competition and the winner will receive a prize! By the way, have you noticed the method of voting which is used widely in Korea? Small round stickers are placed to count popularity. This can be seen in many places including around train stations and even stores to vote for the best sales assistant. What type of method is used to vote in your country?